Beloved husband of CAROLYN. Loving father and father-in-law to KENNETH and GINA, TAMARA and ANDREW, NATALIE and SHAWN. Step father and step father-in-law to BLAIR and SUSAN, JASON and DONNA. A much loved POPPY PAUL to their FAMILIES. A dear brother to GARY, and ROBYN (dec’d). A Loved and respected member of the PICKETT, FORD and PRITCHARD FAMILIES. 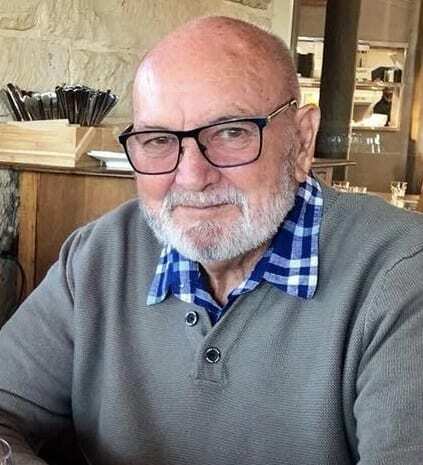 Relatives and Friends of PAUL are warmly invited to attend his Funeral Service in the Chapel of St. Patrick’s of Nulkaba this THURSDAY 18.04.2019 at 2:30pm.